‘GRIPPING the wheel his knuckles went white with desire, the wheels of his Mustang exploding on the highway like a slug from a .45’. That’s the opening verse from a song called Black Sunshine, by American heavy metal outfit White Zombie. 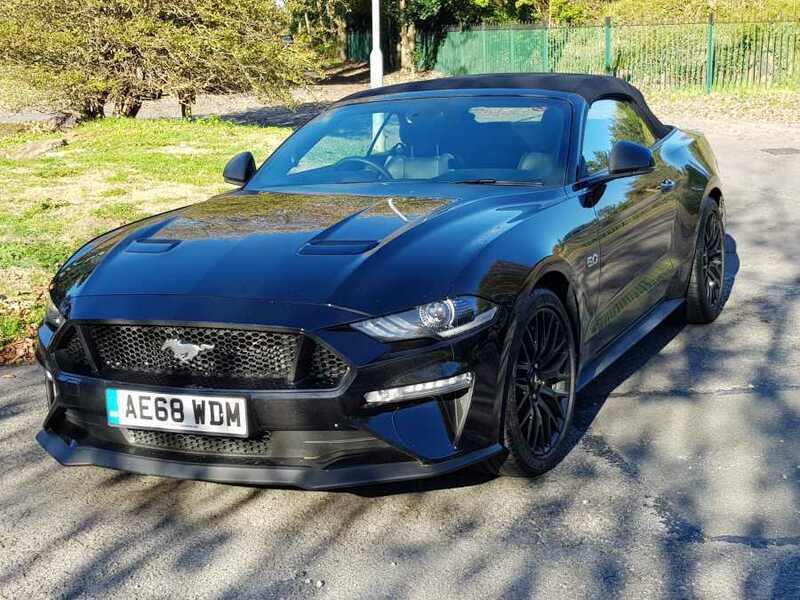 And it’s a line that will certainly resonate with anyone who has had the good fortune to get behind the wheel of a Ford Mustang, the 5.0-litre V8 version that is. Go for a convertible, electronically lower that fabric hood and you’re into classic Born To Be Wild territory. While there’s strength, style and even some menace to the Mustang’s design, Ford still felt the need to make a few changes last year. Nothing too dramatic – why change a winning design – but enough to give the pony car a sleeker, more panther-like appeal. It’s more of a subtle upgrade, with slightly lowered bonnet, a revised grille and quad tailpipes while the cabin features more aluminium and soft-touch upholstery with perforated leather seating. The car’s red-rimmed Start button pulses from the moment you enter the cabin and continues at 30 beats per minute until the engine is fired up. And in a really clever touch from Ford, there’s now a ‘good neighbour’ mode in the shape of an active valve performance exhaust system. It automatically adjusts the decibel level of the exhaust note according to the drive mode engaged – from Normal and Sport Plus up to the Track mode which blasts out 82 decibels – meaning early mornings or late nights needn’t annoy the entire street. With a V8 monster of a 5.0-litre engine beneath the bonnet, the V8 Mustang now develops a whopping 450bhp. Upshot is the ability to scorch from 0-62 mph in 4.3 seconds when combined with the new 10-speed automatic gearbox, which adds an extra £2,000 to the cost of the standard six-speed auto featured in our tested version. 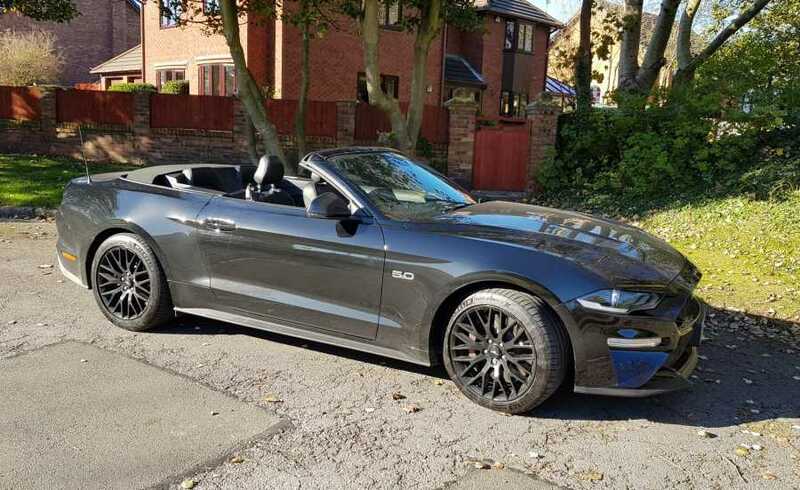 The Mustang is up for grabs with a choice of two engines – an economical 2.3-litre EcoBoost petrol version and, the one you really want, the 5.0-litre V8. You’re realistically only going to get a maximum 22 miles per gallon – or in our case 18.5 – from the V8, but when you compare the value for money you’re getting in the light of rival performance cars, then the fuel cost issue disappears. So what of the price? The latest V8 Fastback model costs £38,165 for manual and an extra £1,500 with six-speed auto transmission. 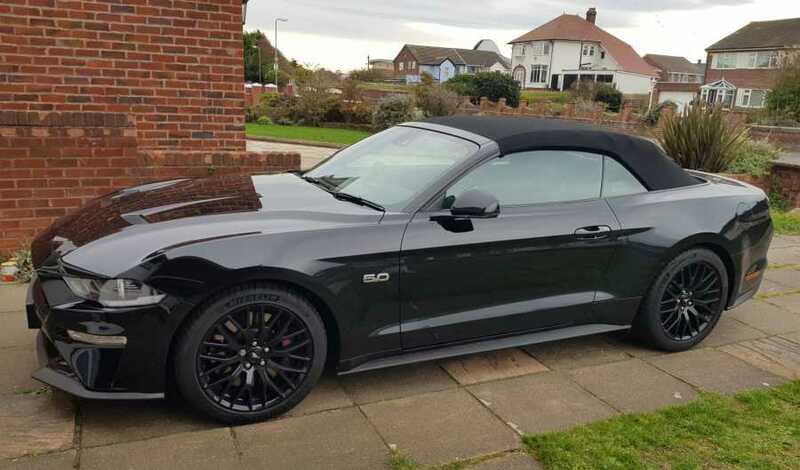 V8 convertibles are from £41,665 with the 2019 10-speed automatic costing £48,245. Kit is comprehensive anyway with the likes of ambient lighting, a rear view camera, HID headlamps, ESP with three settings and Ford SYNC with voice control. 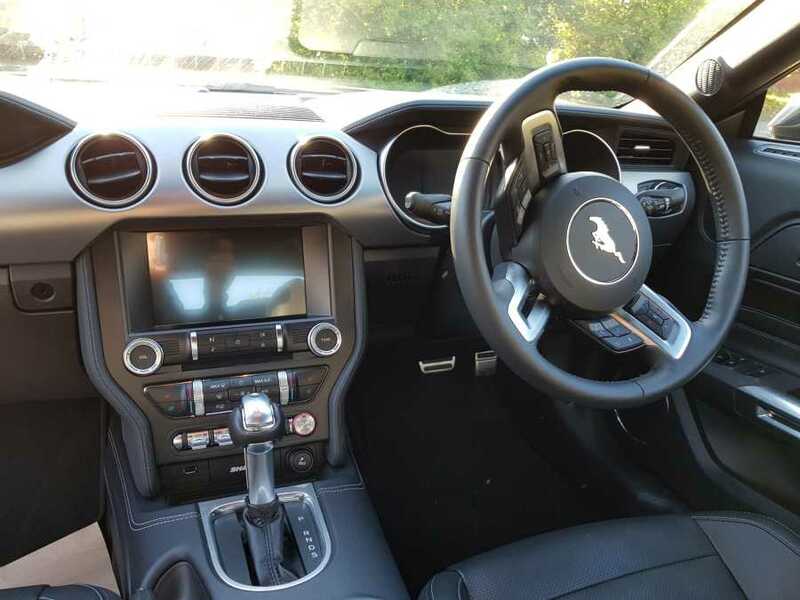 But you can splash out another £1,795 for a Custom Pack comprising a Shaker Pro sound system with sat-nav, 19-inch multi-spoke alloys, climate controlled leather seats and chrome window surrounds. Floor the throttle and the noise is sensational, and while the car can feel a bit snakey under hard acceleration on greasy surfaces, it is generally very stable and steers accurately too. There’s also the reassurance of a performance brake system plus selectable driving modes for Snow/Wet, Normal, Sport and Track use. A long profile equates to a large boot, though not a huge amount of rear passenger space – really only for kids. 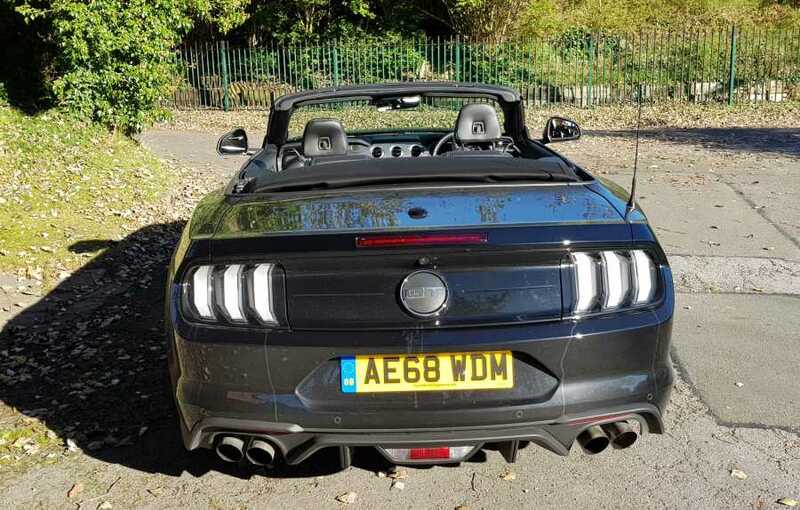 MODEL Mustang 5.0 V8 GT Convertible. PERFORMANCE 0-60 in 4.4 secs, top speed 155mph. ECONOMY 14.2mpg Urban, 32.5 Extra Urban, 22.1 Combined. PRICE £43,165 on the road.